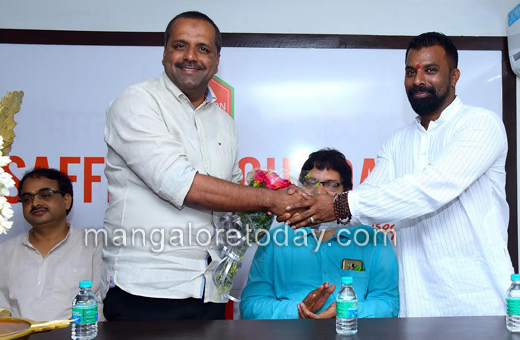 Mangaluru, Aug 01, 2016: Minister for Food and Civil Supply U.T Khadar inaugurated the blood donation camp organised by the Saffron Foundation in remembrance of Kargil Divas. The voluntary blood donation camp organised in association with Wenlock Government Hospital was inaugurated on Sunday, July 31 at Kulai. CREDAI President Mr D.B Mehta, Surgeon and Environmentalist Dr Muralimohan and Blood-bank officer Dr Sharath were also present as guests on the occasion. Minister Khadar who presided over function gave a call to people to donate blood as it is only component in human body which lacks an alternative. "While doctors and nurses treat every patient without making a difference based on caste or gender or occupation, every independent must come forward to lend their service to society without being bogged down by caste or religious disparities. Blood donation is considered as one of the greatest donation as it could save many lives" he added. CREDAI President D.B Mehta expressed his wish to have a tune-up with the Saffron Foundation for all future social initiatives. He also expressed that along with blood donation people have to be educated on organ donation as may of us are unaware of it. 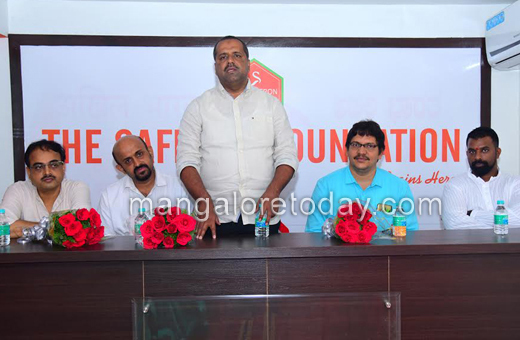 Dr Muralimohan and Dr Sharath briefed the donors and audience on importance of blood donation. All the guests appreciated the initiatives of Saffron Foundation. 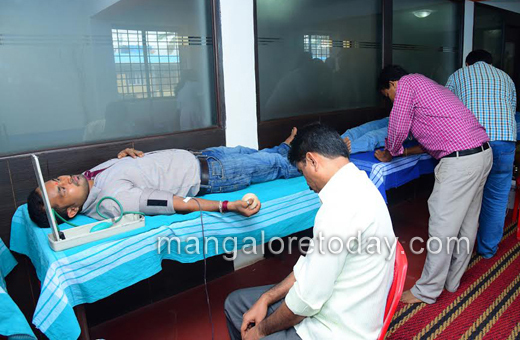 Nearly 50 volunteers from across Mangalore donated blood for a better cause. Saffron Foundation founder Mr Rajesh Pavitran, Coordinator Dr Sanija, Members Advocate Ms Bindu Thankappan, Ms Wilma Serrao and others were present on the occasion. The Saffron Foundation founded in 2002 has been working positively by bringing a change in the lives of under privileged children, their families and communities. A team of dedicated professionals / social workers who are highly experienced in the field of social service are one a mission for the betterment of humanity. The organisation is being committed in helping the helpless, homeless, elderly, physically and mentally ill and destitute by providing food, health and opportunity to rehabilitate. 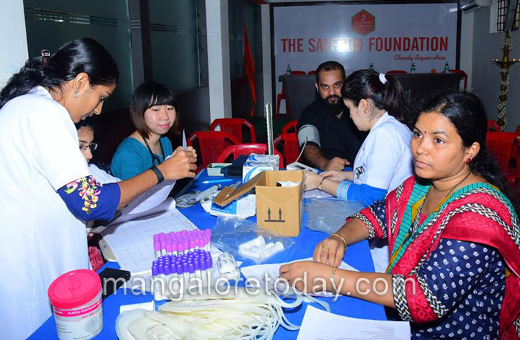 The Saffron Foundation has already set examples through their noble programmes like blood donation, free dental camps, free medical aid, save the earth programmes, cleanliness drive in city, food for the poor and honouring women achievers and eminent personalities. They also focus on livelihood, special support programme, education and disaster response.